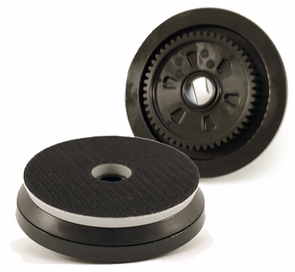 FLEX XC3401 Changeable Backing Plate System works with pads ranging from 4 to 5 inches. Converts FLEX XC3401 Orbital Polisher from small pads to larger pads instantly. Two piece system replaces multiple backing plates. FLEX PE-150 Cordless Rotary Polisher Tool Only! FLEX XFE15 150 Cordless Orbital Polisher Tool Only!